Join UT & UTEP for a Live Webinar! Join the Latina Researchers Network, The University of Texas at El Paso, and the Latino Research Initiative at The University of Texas at Austin for a live webinar you don’t want to miss! UT Austin and UT El Paso campuses will host concurrent webinars featuring a strengths-based approach to fostering Latina leadership. Open to all researchers. Dr. Cynthia de las Fuentes works in private practice offering psychotherapy and assessment services. Previously, she was a Professor of Psychology in an American Psychological Association accredited doctoral program. She has dozens of presentations and publications in her areas of scholarship: ethics in psychology, feminist psychology, and multicultural psychology. She served as the editor of the Texas Psychologist in 2016. Dr. Guillermina G. Núñez-Mchiri is an Associate Professor of Anthropology and Director of Women and Gender Studies at UTEP. She is also a mother of a 10 year old son in 5th grade. Dr. Núñez-Mchiri is a faculty partner to Wise Latina International’s LEAD program, a leadership initiative for women in El Paso. Her most recent publication is a co-edited book on Community Engagement and High Impact Practices in Higher Education (2018). The festival is April 19-21, 2018 at the Mexican American Cultural Center in Austin, TX. This project is in collaboration with ScriptWorks, and is supported in part by the Cultural Arts Division of the City of Austin Economic Development Department, National Endowment for the Arts, Texas Commission on the Arts, and the National Association of Latino Arts and Cultures. What: A Viva Voz – A Celebration of Latina/o Arts and Culture at the Benson Latin American Collection at the University of Texas at Austin is hosting a reading and conversation with Ana Castillo and Carmen Tafolla to discuss the Arizona HB 2281 bill that banned Mexican American Studies. This ban was recently overturned. Junot Díaz wanted to write a children’s book for more than 20 years. In the meantime, he wrote several grown-up books, including The Brief Wondrous Life Of Oscar Wao, which won a Pulitzer Prize in 2008. He also won a MacArthur “Genius” Grant, among other accolades. Now he has finished that children’s book. 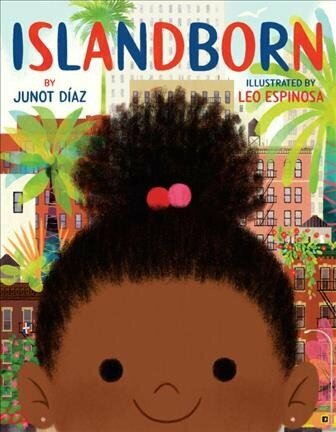 Islandborn is about a curious, Afro-Caribbean girl named Lola. She’s about 6 years old, the age Díaz was when he and his family fled to the U.S. from the Dominican Republic, which was torn apart by the dictatorship of Rafael Trujillo. Islandborn, illustrated by Leo Espinosa, follows Lola’s quest to find out about the mysterious nation. A teacher, you know, Ms. Obi, challenges them to draw a picture of their first home because Lola is in a school called “the school of faraway places,” and all the children in her school are immigrants. But Lola, of course, doesn’t have any memories. And so she and her teacher start devising a way that she be able to find a way to draw a picture by talking to and reaching out to the people around her who do remember. Well, she gets into dialogue. I think what’s interesting is that the — often the questions of young people, you know, in some ways, they create an invitation for older people who have spent a lot of time sustaining certain kinds of silences. You know, if you’re in a family that has silences, a young person can sort of zero in on them and say, “Hey. Whatever happened to X?” Or “What is Y about?” She, in her very innocent and curious and energetic way, creates an opportunity for the community to have a reckoning with some of the history which it’s attempting to distance or disavow. Mrs. Bernard, who sells Lola empanadas after school, says the thing she remembers most about “the Island” is the music. Well, you know, one thing is sure is that there’s a number of tactics. You have some folks trying to discourage her, other folks trying to shut the door, but her persistence wins the day. And eventually someone sits down with her — Mr. Mir — and explains to her in highly metaphorical language, but I think [in] more honest and some ways more impactful than if he’d given her just a clinical description of it. When we look at the discourses around immigration, it’s always this deficit model: “We didn’t have anything at home” or “We had less at home, and so we came here for more opportunities.” OK, that’s very, very comforting. There’s also the fact a lot of people come because political realities have uprooted them, have driven them from their homes. Mr. Mir tells Lola of the brave people who fought “the monster,” referencing Trujillo’s dictatorship. I think he’s like most authoritarian, near-totalitarian dictators. There was no safety for people or families. Today, you could be walking down the street, and somebody who had Trujillo’s ear would want your house, and the next thing you know, you would be out of it. There was constant murder, constant torture. This was also a racial dictatorship, a violently Jim Crow-type dictatorship where people of dark skin, their lives were made much more difficult than the light-skinned people. It was a very bad period. I would argue that young people are far more sophisticated than any adult gives them credit for. Adults are always imagining children to be less sophisticated than they really are. Lola, I think, is sophisticated. I think, as we see in the book, that she’s taken Mr. Mir’s story about this political monstrosity that’s seized her island to heart. It allows her, in some ways, to connect to her family more deeply and to herself, and ultimately leaves her far more — at least in my mind — leaves her in a better place than she was when she started. Catherine Whelan and Jessica Smith produced and edited this interview for broadcast. Sydnee Monday adapted it for the Web. Luis Alberto Urrea (Tijuana, Mexico) is a Pulitzer Prize Finalist for his landmark work of nonfiction The Devil’s Highway. He is also the bestselling author of the novels The Hummingbird’s Daughter, Into the Beautiful North, and Queen of America, as well as the story collections The Water Museum, a PEN/Faulkner Award finalist. He has won the Lannan Literary Award, an Edgar Award, and a 2017 American Academy of Arts and Letters Award in Literature, among many other honors. 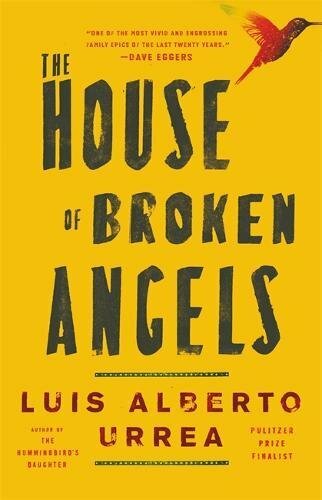 ​GERALD PADILLA: Luis Alberto, it’s a pleasure to have you on Latino Book Review and congratulations on your upcoming book, The House of Broken Angels. LUIS ALBERTO URREA: Thank you so much, mi gente! It means a lot to me to speak with you. PADILLA: You were born in Tijuana, Mexico to a Mexican father and an American mother. It seems you were born between two nations and cultures, geographically as well as within your family. How did you navigate between these two worlds as a child? URREA: I didn’t know any better. Didn’t everyone learn Spanish before they learned English? Didn’t everybody have a Mexican grandma who turned out to have Irish blood? Didn’t everybody’s mom have trouble learning how to cuss in Spanish? None of us are given a rule book or a template for what a family is, how identity works. We are what we are. I think that’s why it’s such a shock when the cabrones come after us. The culture clash really began when we moved out of Tijuana and settled in Barrio Logan and my parents immediately recreated the border inside our little apartment. Once they were not happy together, you could have parked a migra truck right in the kitchen. I have often said the kitchen was the US and the living room was pretty much Sinaloa. And that’s when I had to learn some pretty serious spy moves to get through the intrigues of that particular Cold War. And that extended into my general life in the US for a long time. PADILLA: As a young author, what was some of the most valuable advice you received? URREA: It was from Rudolfo Anaya. I was a bit in awe of him. But he immediately took on the role of some kind of tio and he told me something I have never forgotten. He said if you can make your abuelita in Tijuana the grandmother of some reader in Iowa, you have committed the most powerful of political and religious acts. I hear that small voice every time I work on a book or a story. PADILLA: In an interview on UC Television, you stated that at the beginning of your career, a New York editor told you, “Nobody cares about starving Mexicans”. You were also told, at one point, that should change your name to an Anglo name so it wouldn’t sound so freakish. Despite all the cultural animosity, what motivated you to continue writing stories about Mexicans and Mexican Americans? URREA: I have always been amazed that it seems to come as a shock to people that Mexicans are human beings. And on a philosophical level, I always remind interviewers that “the border” has nothing to do being Mexican or not. The border is simply a metaphor for what divides and wounds us as people – and I mean that “border” between any group of people, gay-straight, black-white, Muslim-Jewish, etc. PADILLA: In 2005 you became a finalist for one of the most prestigious awards in the nation. How did it feel in a personal level to become a Pulitzer Prize Finalist? URREA: It’s kind of funny, but one of my first thoughts was “I hope Tijuana is proud of me.” Although it sounds like faux modesty, this was one time that simply being a finalist was enough. It changed so much in my career. Though, of course, I invite them to go ahead and award me one next time! PADILLA: In 2014 you gave a TEDx presentation in Alaska, where you spoke passionately about the dignity of Latin American children who come to the U.S. to seek refuge. What message would you give politicians whose decisions could help or hinder the lives of these children? URREA: I am so much more angry now than I was for my TED talk. I don’t offer this as a cop-out to you, but I said it as clearly as I could in this new book. And we’ll see how people respond. PADILLA: Your upcoming book, The House of Broken Angels, is the epic story of an imperfect, humorous, bold, lionhearted, American family—“one that happens to speak Spanish.” It is also a story that was inspired by the death of your brother. How were you able to put such a deep and emotional part of your life into words and what drove you to do so? URREA: I love my brother. I love my people. I knew that it was time for me to attempt a big “American family saga.” When I told the writer Jim Harrison the story of my brother’s death, he told me “Sometimes God hands you a novel. You’d better write it.” My wife, who watched the events fictionalized in the book, had been telling me something similar for quite a while. Yet I thought it was just too personal and particular to mean anything to readers. But I remembered Rudy and I realized this could be the most personally involving narrative for the reader that I could ever write. Finally, I will say that I had to go through many drafts and some hand-to-hand combat with my editor to change this from a fictionalized memoir to a universal story. I had in mind a novel, a great novel, a BIG novel, something more like a Russian novel or Mario Puzo’s The Godfather. It couldn’t just be folksy memories about my brother. That wasn’t the point. Through fiction, he had to become everyone’s brother. You can see how this potentially is quite revolutionary in the current political times we are enduring. PADILLA: You have come a long way since the beginning of your career. You have become an award winning, bestselling author and an inspiration to many Latino authors. What are your hopes for Latino literature in the near future? PADILLA: Thank you again Luis Alberto for taking the time to share with us at Latino Book Review. URREA: It’s been an honor. Thank you for taking the time. Much love and respect. sailing, fencing, and horseback riding. Rita Maria Martinez’s poetry collection, The Jane and Bertha in Me (Kelsay Books), celebrates Charlotte Brontë’s classic novel Jane Eyre. Her poetry appears in the Notre Dame Review, Ploughshares, and The Best American Poetry Blog. Martinez’s work also appears in the textbook Three Genres: The Writing of Fiction/Literary Nonfiction, Poetry and Drama, and in the anthology Burnt Sugar, Caña Quemada: Contemporary Cuban Poetry in English and Spanish. Visit Martinez’s website at https://www.comeonhome.org/ritamartinez. Label Me Latina/o is an online, refereed international e-journal that focuses on Latino Literary Production in the twentieth and twenty-first centuries. The journal invites scholarly essays focusing on these writers for its biannual publication. Label Me Latina/o also publishes creative literary pieces whose authors self-define as Latina or Latino regardless of thematic content. Interviews of Latino or Latina authors will also be considered. The Co-Directors will publish creative works and interviews in English, Spanish or Spanglish whereas analytical essays should be written in English or Spanish. We do accept simultaneous submissions of creative works. Scholarly articles under consideration should not be submitted elsewhere. Creative poetry, essays and short fiction should not exceed 30 pages, 12 point font, double-spaced. Deadline for the Fall 2018 issue: June 15, 2018. A brief biography to be included with publication should your submission be selected. Make sure you check out the new issue of Latino Studies 16.1 (Spring 2018). 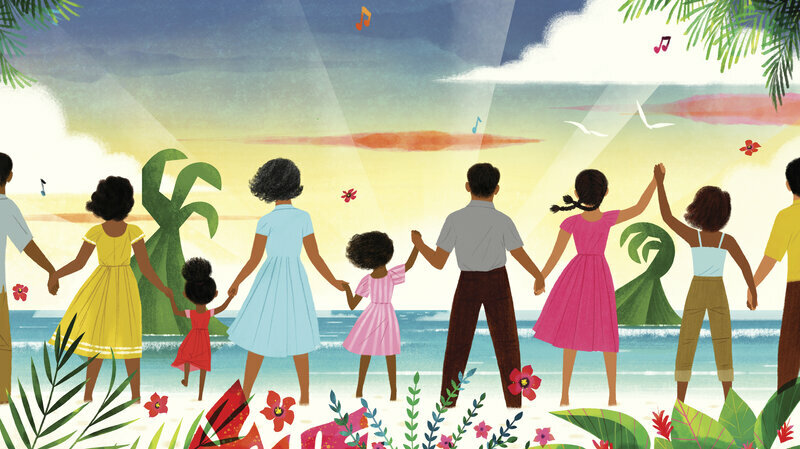 In Lucky Broken Girl, fifth-grader Ruthie Mizrahi, newly arrived to the United States from Cuba in the 1960’s, is confined to a full-body cast after a life-changing accident. Surrounded by her Cuban-Jewish family and a diverse group of neighbors, Ruthie finds strength and courage to heal and grow. The book was published byNancy Paulsen Books, an imprint of Penguin Random House LLC. 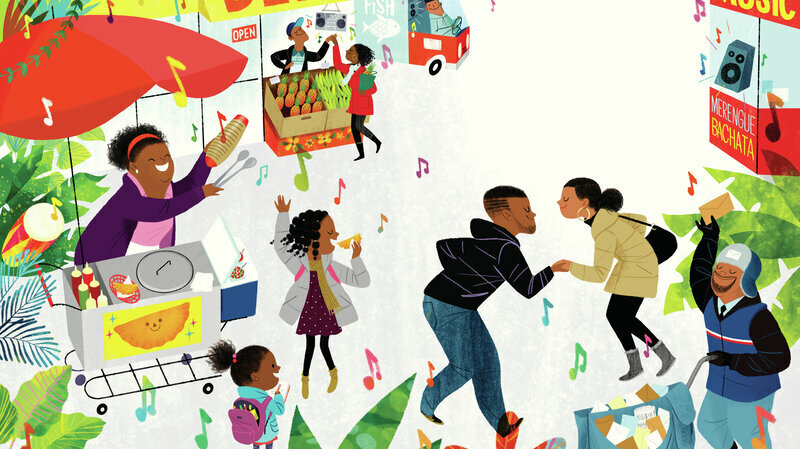 “Ruth Behar draws from her childhood experience to tell a story that celebrates Latinx experience while affirming the resilience of children facing both universal and specific challenges,”said Pura Belpré Award Committee Chair Alicia K. Long. “Martinez-Neal’s masterful character and setting design, along with her incorporation of Peruvian cultural elements, make this book exquisite and unmatched,” said Pura Belpré Award Committee Chair Alicia K. Long.